Les Puryear posted an interesting list of small church distinctives this week. His list got me to thinking about the possible differences in “old” small churches and “new” small churches. By “old” I mean what we typically think of as a small church whether it’s in a rural, small town, suburban, or even urban setting. “Old” means established and conventional. By conventional I mean that an old small church has worship; usually has one pastor and maybe some part-time staff; focuses on typical church programs and activities; and operates primarily on gifts from its members. 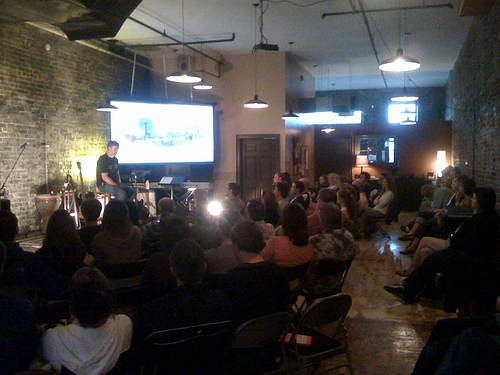 By “new” I mean churches that have taken new models, like KnoxLife Church in Knoxville, TN that operates a coffee shop and meets in that same space for its weekly gathering. Matthew’s Table in Lebanon, TN is another example of what I call a “marketplace” church — a church that runs a business to create revenue and engage its community, but also has some forms of conventional church such as a weekly worship gathering. My guess is that in these “new” small churches, pastoral care is performed by more than just the pastor (if there is a solo pastor in the new church). And, some of these small churches have multiple leaders, some (or all ) of whom may not be paid anything. My point is we may have to rethink what we mean when we say “small church.” Neomonastic communities are small churches, marketplace churches are small churches, mission-driven groups like Scott Linklater’s church in Las Vegas are small churches, but none of these would have all the common characteristics of conventional small churches. We might need whole new categories to distinguish conventional churches from unconventional. Personally, I think the “un-s” are the group to watch for clues to the future of all churches. But, that’s just my opinion. What do you think?